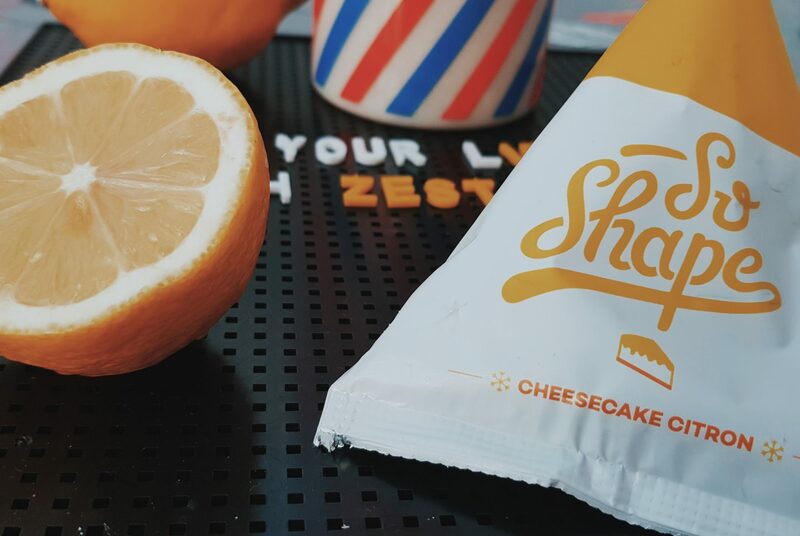 A few weeks ago French Nutrition company So Shape got in touch with me to see if I would like to sample some of their foods and see if it could help me with my health or weight loss goals and bring a bit of zest to my life with all of those extra vitamins! As I am pretty content with how I look and feel right now, I decided to give the 5 day challenge a go just to see what it was all about, but also to help me have a bit of a detox from sugar and carb rich foods. I hoped it would help me feel less bloated and wobbly following birthday indulgence and a Summer of eating far too many treats! And so for the last 5 days I have replaced 2 or my normal daily meals with So Shapes smart and healthy ones and have been really impressed with the flavours and ease of it all. 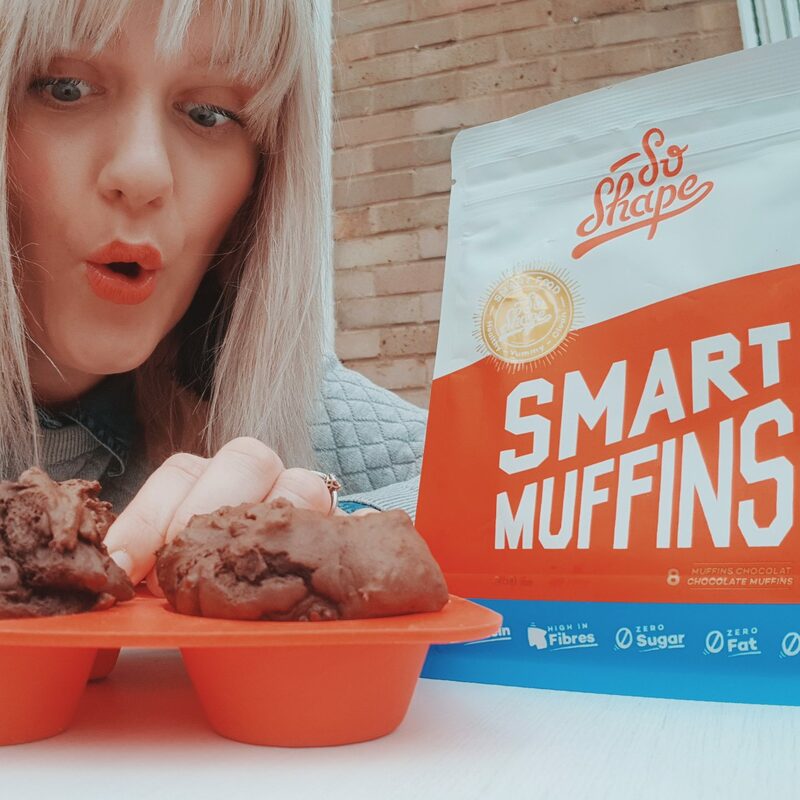 Whilst it was initially hard to get it together and get my head in the So Shape game, the ease of them has been great – especially on busy school mornings for someone who doesn’t really do breakfast! 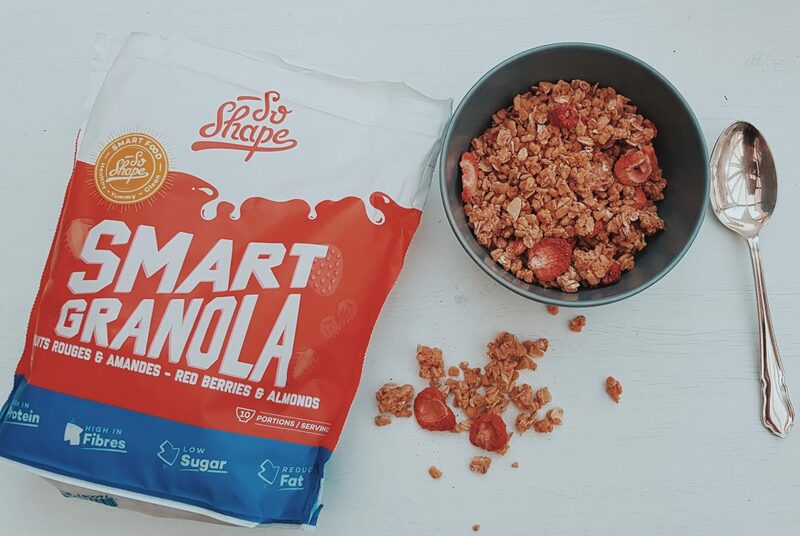 So shape are a French nutrition company that have created a series of “Smart Meals” that are 100% vegetarian, gluten free, and some are even vegan. The are rich in protein, low in fat and easy on the calories, and each one is filled with vitamins that in the longer term can boost your immunity and in the short term help to ensure you have plenty. They help you to detox, are great to regulate metabolism and help keep muscle mass whilst exercising and working out. 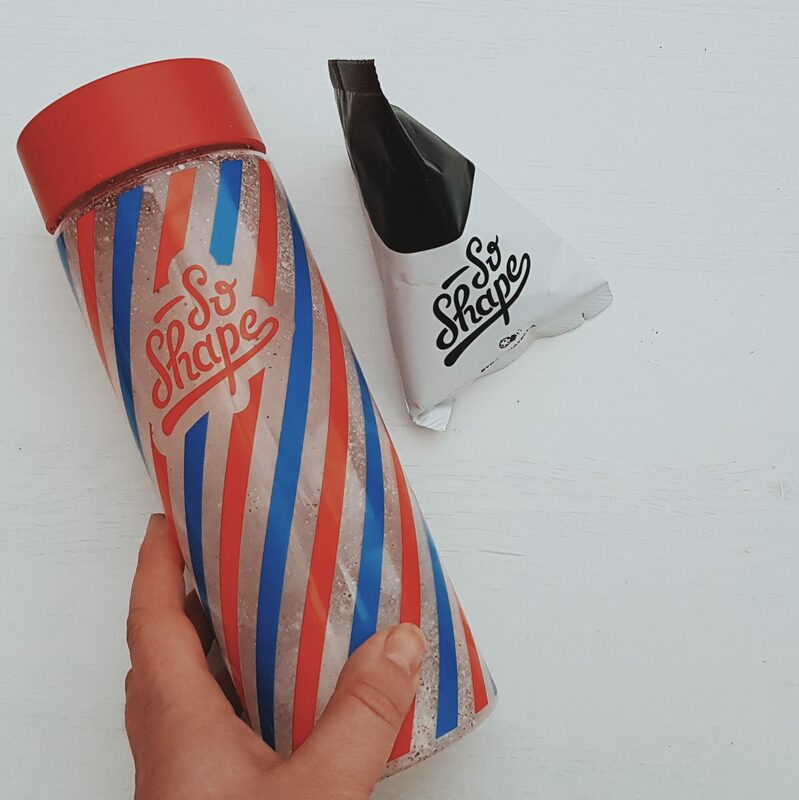 So Shape is designed for people always on-the-go, with busy lifestyles, for those who want extra protein intake, or just for people that want to fit into their jeans or have a post weekend detox. They supply all of your daily micro and macro nutrients and each one is tasty and delicious! I love that they have flavours and foods far from what you would associate with weight loss – making it easier than ever to stay on the weightloss wagon! So Shape has 3 plans you can choose from that each differ in length depending on what you are hoping to achieve. All are the same in the respect that you replace 2 of your regular meals with 2 smart meals (and your 3rd meal is healthy), but you obviously take the challenge for longer if you want lose more weight and inches! The first one (which I did) is the “5 Day: Feel lighter” challenge. It is £39.90 and you can select 10 meals – it also includes the shaker and book! The Second option is done over 14 Days and is £89.00 for 30 meals (again with shaker and meal plan book). This one is great if you have an event coming up and want to fit into a certain dress or pair of jeans, or you generally want to shift a few lbs to feel more content. Finally is the 28 Day Challenge – labeled as “change your size”! This one is £159.00 for 60 meals and again includes the shaker and meal plan booklet. They also have an array of snacks available for when you need something more, that are rich in nutrients, low in calories and convenient and tasty. 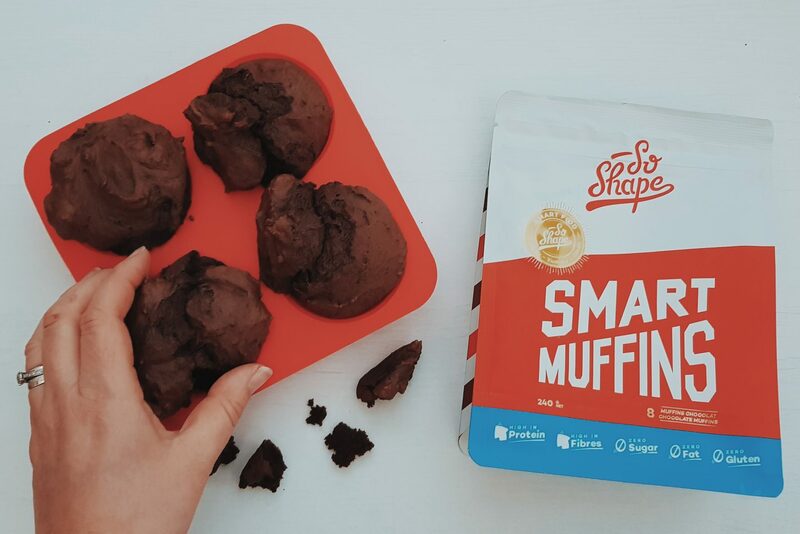 They are of course nowhere near as sweet as the real thing, but they help you enjoy life’s pleasures (or have a little treat) whilst still staying in shape – they mean you can literally have your cake and eat it and I found them quite nice. I took the 5 day challenge with the goal that I wanted to feel less wobbly and bloated and that hopefully my clothes wouldn’t be so tight. I lost 3lbs whilst in Italy (living off a lot of veg and walking 5 or 6 miles a day) and I am at a place in life where I am learning to love my body more and with that I do feel mostly good in my clothes and naked. I have however noticed that my bra cuts in a little and as I enjoy far too much rubbish, I was aware that my mum tum was bloated and my skinny jeans just felt too tight! I hoped the 5 day feel lighter challenge could help me be more comfortable in these areas – therefore helping me embrace my body even more than I already do. I mostly cook and eat really well, but one thing I lack on is that I don’t always have the best eating habits. 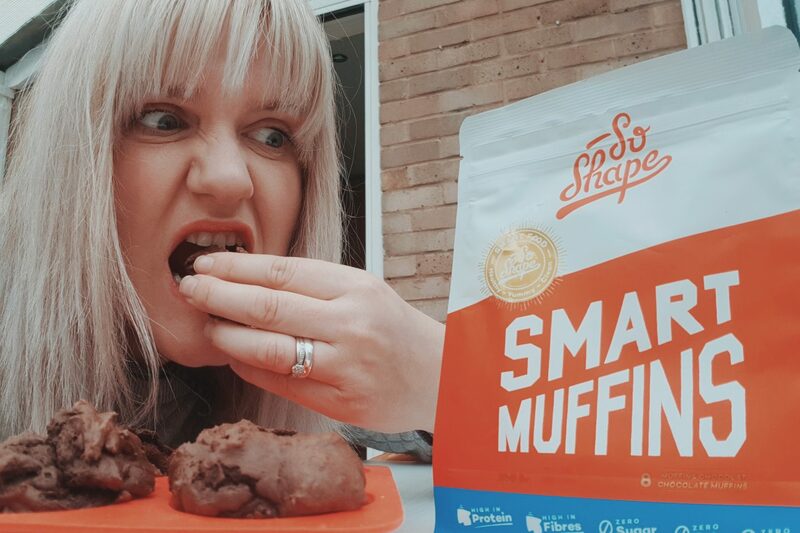 I think like a lot of busy mums, I skip meals and then fall into the trap of compensating by eating crap and so again I hoped the 5 day So Shape challenge would also give me a kick into a good “3 meals a day” routine! 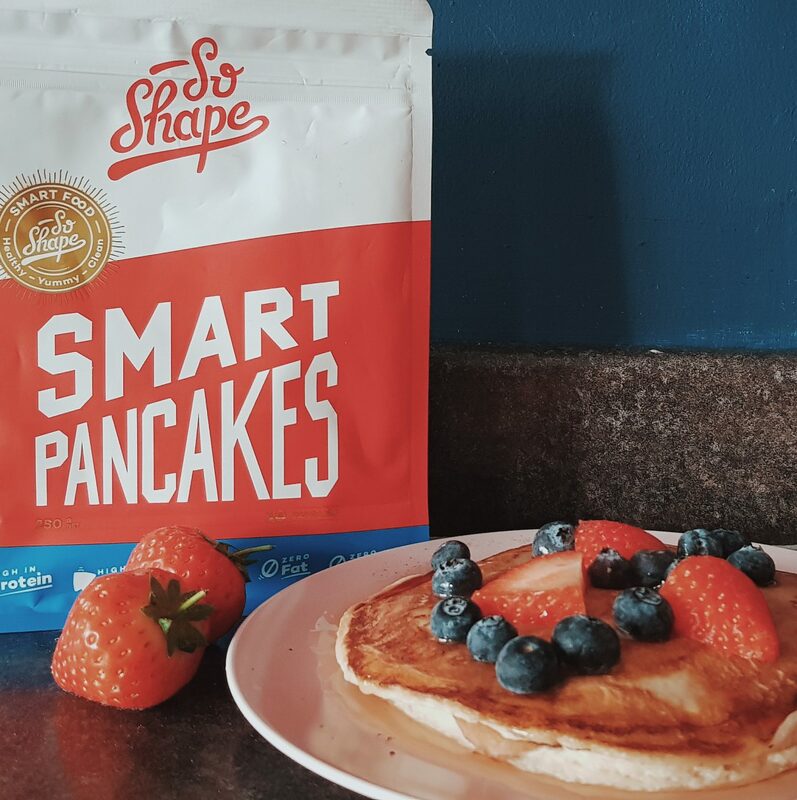 I found it a little tricky initially as many of the shakes and frappes contain green tea (which I can’t have) but I did manage to enjoy a few that saw me through, and rotated these between the Smart pancakes as options for my breakfast. I then ate salads, tuna or wraps for my lunch and a Smart dinner and plenty of water and the odd smart muffin in between! The pancakes were great with a handful of berries and a drizzel of honey, and were really simple to make too. The thing I love the most was the ease of it all – it really is convenient. I also loved the flavours of the shakes and found them incredibly easy and convenient to make and drink. My favourites were the Lemon Cheesecake and the stracciatella (chocolate ice cream) both were super tasty and whilst I know it’s not everyone’s idea of breakfast to eat “lemon cheesecake” or even “white chocolate” it was so delicious and a real boost to my morning! I found that both the shakes and the pancakes were filling and mostly satisfying and sweet enough to curb and sugar cravings. I have never really been a breakfast person, but I do enjoy a smoothie or shake, or something like fruit and pancakes. 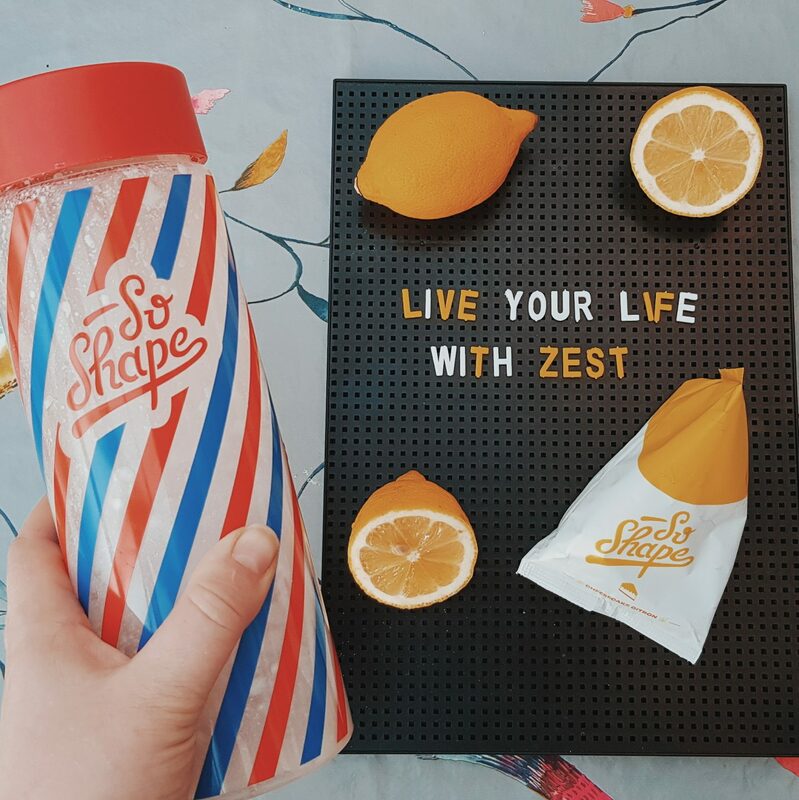 In this respect So shape worked great for me as I was able to eat nutritionally rich foods first thing, that I enjoyed and, that helped me feel content and energised all morning. I found it really hard that the dinners are such small portions. That probably sounds rather greedy, but I also didn’t find them nearly as tasty as the breakfasts and snacks either. They are okay and I found adding a side salad helped, but this was where I struggled the most – especially because I was still making dinners for the kids. I think if I was to do it again I would swap and do the smart meals for breakfast and lunch and enjoy a healthy tea with the fam! We also didn’t particularly enjoy the granola, but this is personal preference as I know lots of people do. This challenge helped me get rid of sugar cravings and think more about what I was putting into my body. It helped me with portion control and eating regular meals and helped me get excited about being more healthy again. After only 2 days I felt more balanced, my stomach felt flatter, and I definitely seemed more energetic. 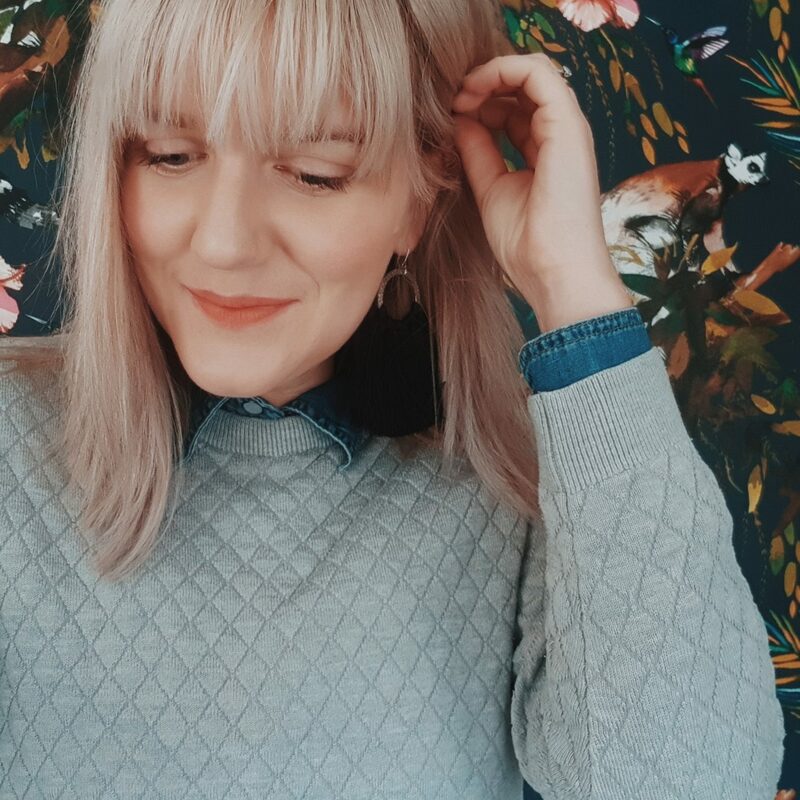 By day 3 my face felt less puffy and my denim shirt that I have not been able to fasten since having Alice, actually fastened up over my tummy and bust – it felt mint to wear it again under jumpers! I did weigh myself, and found to lose about 1lb on the scales too – I suppose that’s just a bonus? I would agree that So shape does exactly what it promises to and if I had have wanted to lose more weight, then exercising alongside this or taking on the 14 day challenge would have ensured this. So Shape is not a fad diet or a complete lifestyle change – It is a set challenge taken short term with long term effects. It is designed to help you feel lighter, fit into that party dress or jeans, or change size if you feel you are bigger than you want to be. It ensures you receive the right nutrients and comes in flavours designed to satisfy your tastebuds. It helps you get into good habits and regular healthy meals and the booklet teaches you about good foods too. Sometimes we don’t feel as content in out bodies as we would like, or overeating leads us to be bloated and sluggish – So shape is great to get back in shape and on track, and if you want to see how others have succeeded with the longer challenges you can check them out here on So Shapes results page. If you would like to give So Shape a go for yourself, perhaps to feel a little better like I wanted to, or to reach a goal for that Christmas party, then hop on over to their site and enter code HEARTYCUSTOM to get double the amount of flavours in any 14 or 28 day challenge when using the custom option. Next Post #MyHeartyLife | #39 – Beach walks, Friends and Birthday Round 2!